This terms inquiry at Pt England is Technology. During the term the village have been looking at different ways we can make our environment a nicer place to learn. As a team we came up with a solution - paint a mural! 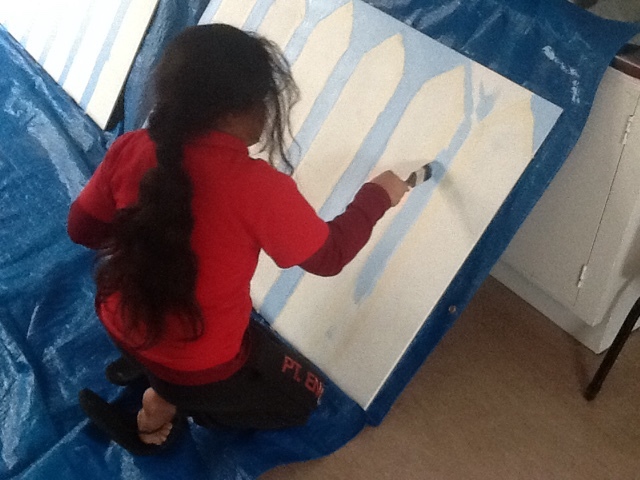 Room 26 have planned a picket fence to paint with each student having their own picket. We have finally started to paint it! Very exciting! Make sure you take a look at our blogs to see some of our great ideas and to follow the progress of our mural.